Some tips for your Easter holidays in Maremma Tuscany, on Easter Maremma offers its best: the longer and sunny days are the ideal time of the year for walking, riding, or biking through the Maremman’s natural world which begins to awake after the winter season. Meadows, hills, olive groves give a sensation of peace and calm. Beaches become lively although only the boldest swimmers dare to dive. You can sunbathe or have lunch at the cosy restaurants by the sea, when the waiters will have laid the tables by the seaside before replacing them with beach umbrellas. Hotels, farm holidays and all sort of accommodation offer appealing vacation packages. Over the Easter week you can find a very interesting calendar of events in Maremma: town festivals, fairs, boat races, exhibitions, but especially religious processions. Pasquavela in Porto Santo Stefano, a traditional sailboat racing which lasts 5 days, ending on Easter Monday. From its seafront you can admire a very fascinating show thanks to the many coloured sails at sea. On Good Friday night, (Santa Fiora, Castel del Piano, Tirli, Porto Santo Stefano, Montorsaio ecc.) there is A holy procession in many little towns in which some catholic worshippers hold the statue of dead Jesus Christ and in the meanwhile the town band plays funeral music. Alternatively, in Roselle on Good Friday night you can watch the Stations of the Cross commemoration drama with about 200 actors. On Easter Sunday all churches celebrate Jesus Christ's resurrection. In Porto Santo Stefano, a long procession winds through the village narrow streets at dawn, up to the seafront where you can watch the sea blessing rite. 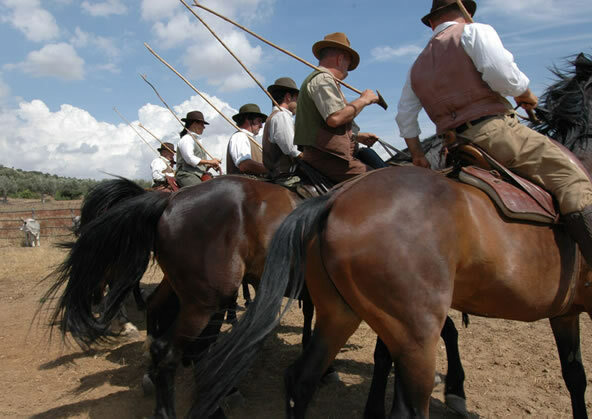 These are just of some of the several opportunities offered by Maremma on Easter, we can hardly describe them all, beacause this area consists of a large number of sites very close to each other but at the same time so unlike. Maremma: you can't afford to miss it!